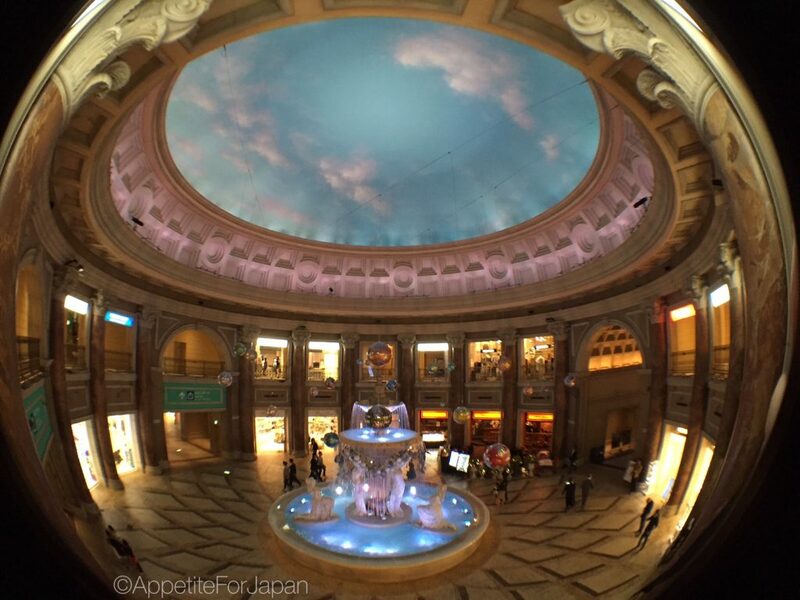 There are three floors of shops at Venus Fort, each with a different focus. The first floor is called Venus Family, and this is where a variety of products for kids, pets and lifestyle can be found. This floor is also dog-friendly, so don’t be surprised if you see people shopping with their dogs. The second floor, Venus Grand, is where the fashion stores such as Burberry Blue Label are found. The third floor is Venus Outlet and has around 50 fashion and lifestyle stores at outlet prices. Venus Fortmakes up part of a larger complex called Palette Town. 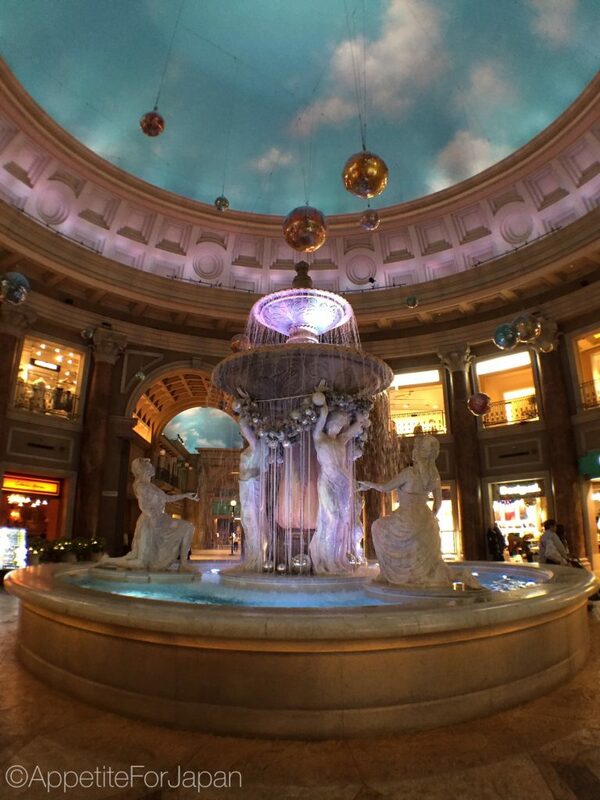 At one end of the shopping centre you’ll find a huge indoor fountain incorporating statues of six goddesses. This area is – unsurprisingly – known as Fountain Plaza. At the other end of the of the shopping centre is Church Plaza; a giant, fake church front. 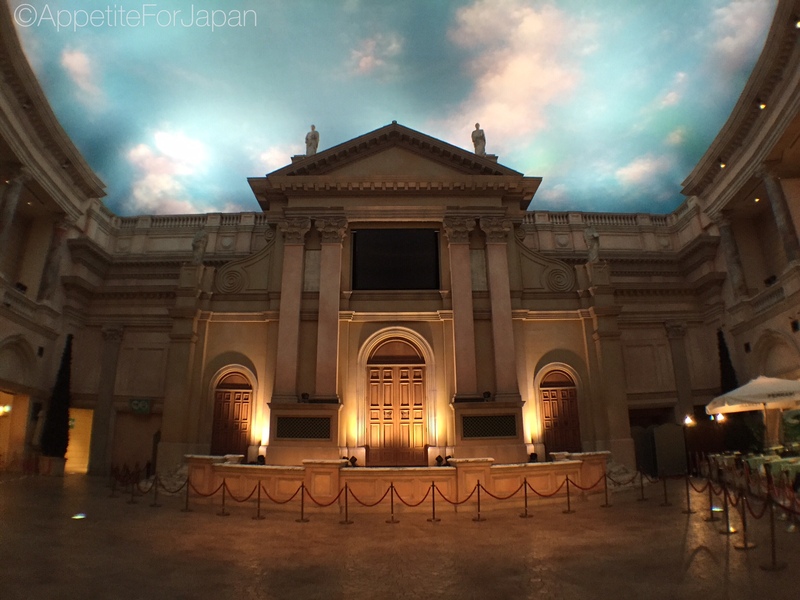 Given that Odaiba itself is an artificial island, why not have a shopping centre with an artificial sky and a big fake church? If the Venetian village theme, the over-the-top indoor fountain, or the big fake church isn’t enough, there’s the ‘Sky Feature Program’. What’s that? 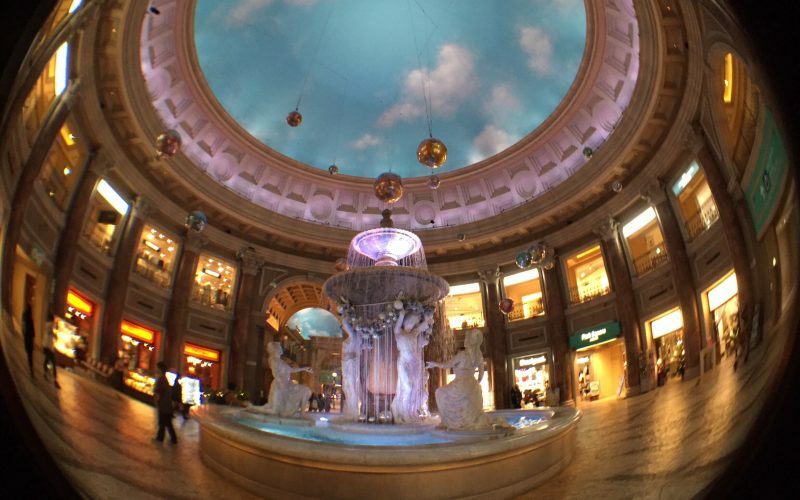 Well, the ceiling of Venus Fort is painted to look like the sky, so you’re in a faux outdoor 18th Century Italian inspired mall. But wait, there’s more! The sky changes throughout the day in an effort to trick you into thinking the sun is setting on an hourly basis. 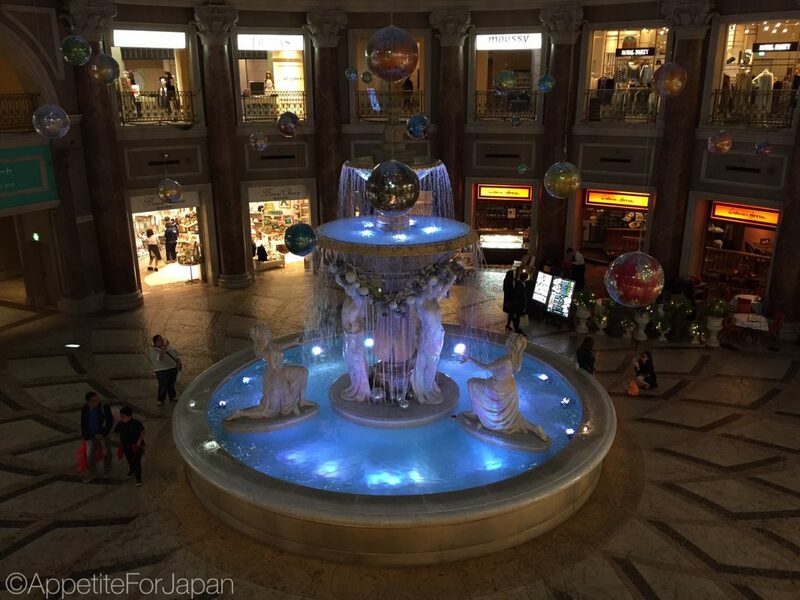 Venus Fort is located within the Palette Town area of Odaiba, an island in Tokyo Bay. My partner and I usually catch the train to Odaiba and back (although there was that one time we stayed in the exclusive Gundam hotel suite which meant we could walk straight to the malls). Since we usually stay in Shibuya, we catch the JR Yamonote line to Osaki station (just a few stops away) and then we change to the Rinkai line. 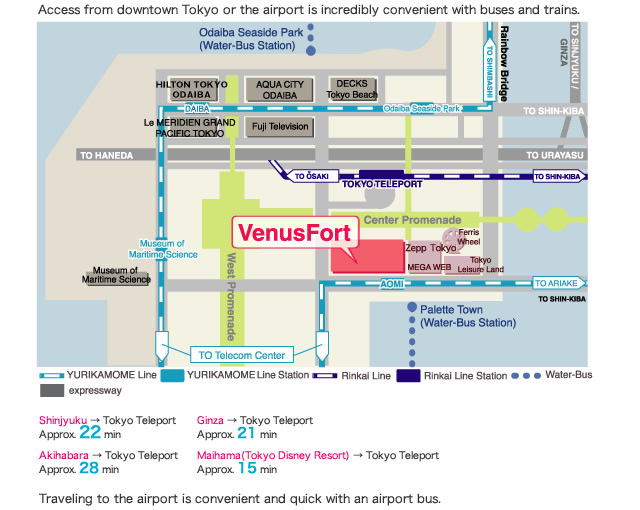 The closest station to Palette Town (the area where Venus Fort is located) on that train line is Tokyo Teleport station. If you’re on the Yurikamome Line, then Aomi station is even closer. Pingback:11 Tokyo’s Top Architecture Masterpieces You Must See!